Transfer to a bowl and make a crater in the crumbs, pour 4 tbsp of melted butter in. Chocolate graham crackers seem to be a bit drier than honey grahams, if the crust doesn’t seem moist enough, add the other 2 tbsp of melted butter. Add in sugar and stir until well combined. Press crust mix into the bottom and sides of a 9 inch pie, tart, or springform pan. While crust is baking, cream together butter and brown sugar with a paddle attachment on medium speed. Beat in eggs one at a time, mixing in between on low, scrapping down the sides as needed.. Melt chocolate chips in a microwave safe bowl on 30 second intervals, stirring between each until fully melted. Mix in melted chocolate, cocoa, heavy cream, and chocolate extract on low speed until fully incorporated. Mixture will be liquid. Carefully pour mixture into the prepared pie crust, the mixture hardly rises, so fill just below the lip of the crust. Carefully transfer to the oven and bake for 45 minutes, rotating halfway through. Remove from oven and allow to cool to room temperature, then transfer to the fridge to finish cooling completely. Top with the Perfect Homemade Whipped Cream recipe and chocolate curls once cooled, store in the fridge or serve after topping. 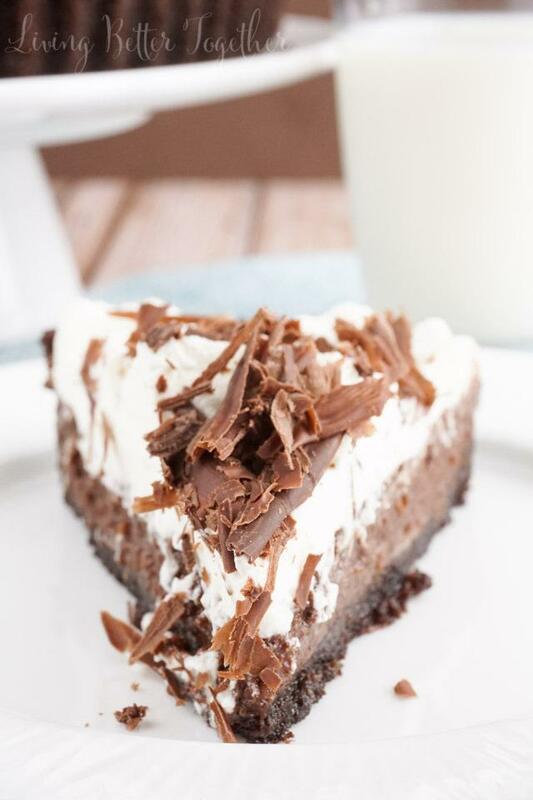 You can also use a premade chocolate graham cracker or oreo crust. You can use vanilla extract in the place of the chocolate extract. Pie should be served cold and can be stored in the fridge for up to 3 days, but is best served within 24 hours. Chill bowl and beater attachments (wisk) in freezer for 10-15 minutes. Add the sugar a tbsp at a time at the 3, 4, 5 minute marks. If using a stand mixer, scrape down sides of bowl at the 4 minutes mark. Do not over beat, we’re making whipped cream not butter here. Store covered in fridge for up to two hours. You can use more or less sugar depending on taste. You can also substitute the granulated sugar for confectioners’ sugar. Whip for an extra minute or two for stiffer peaks. 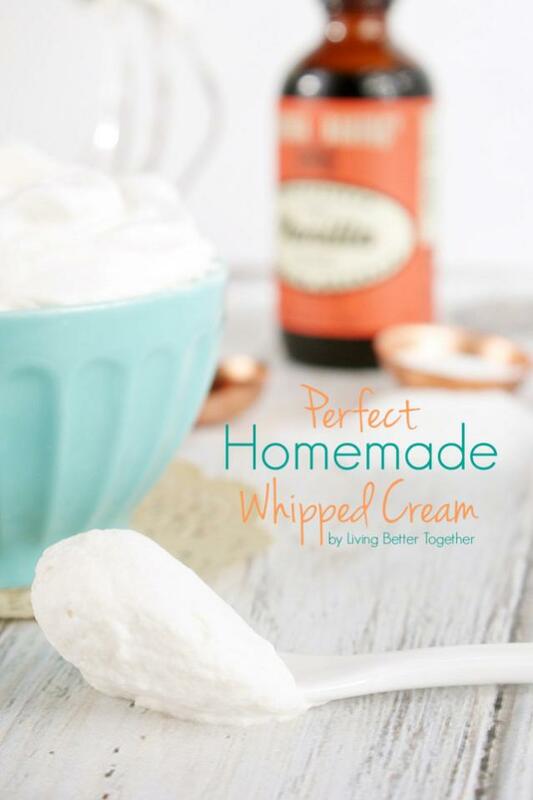 Flavor your whipping cream with ½ – 1 tsp per cup of cream of flavored extract, add in with liquid cream. Need a stiffer cream for frosting, add 2-3 tbsp per cup of cream of softened Mascarpone Cheese.